This is the ORIGINAL acrylic on canvas painting of Strength and Spirit. A majestic mountain lion surveys the landscape. 50% of the sale of this original painting and 20% of prints sales will go directly to the Mountain Lion Foundation. Since 1986, the Mountain Lion Foundation has inspired citizens across the nation to act on behalf of lions and their habitat by presenting practical solutions to complex problems. One of these practical solutions is to work with communities to help build mountain lion proof enclosures for local livestock- helping decrease the killing of mountain lions from depredation permits. They also providing unbiased information to media, aid local activists, promote lion research, and influence regulation and changing laws. 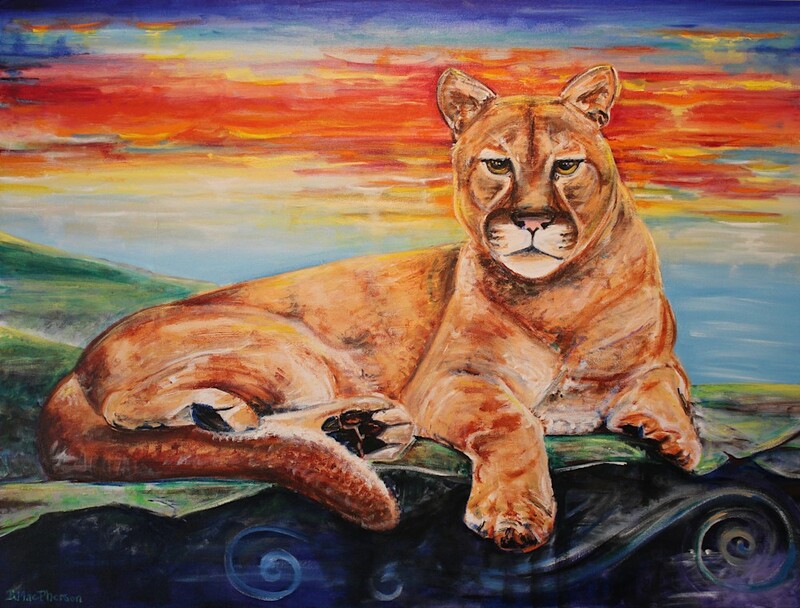 50% of the sale of this original painting and 20% of prints sales will go directly to the Mountain Lion Foundation. A fine art print of a majestic mountain lion. 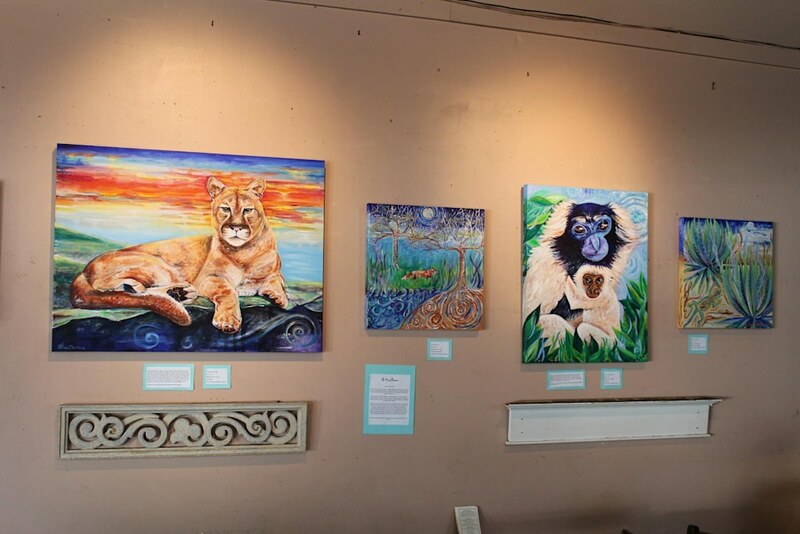 20% of each print sold supports the work of the Mountain Lion Foundation.